Let Rick Cox Construction offer a low cost-efficient alternative to conventional building design in commercial applications is the pre-engineered metal building system. Metal buildings consist of a structural steel framing system, supporting a metal roofing system and the wall panels of varying materials. A notable feature that many owners find appealing is the option of a “clearspan” interior. In this configuration, possible only with pre-engineered metal building systems, the walls are non-load bearing, and provide a space free from obstruction by inferior columns. 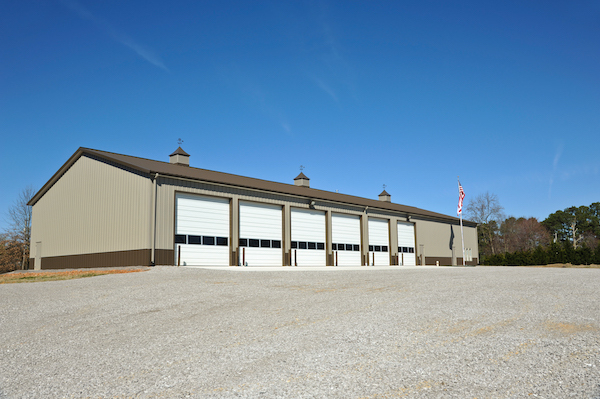 Pre-engineered steel buildings are engineered to specific dimensions, taking into account all relevant building codes, environmental factors, and potential load issues. The frame components, which depend on each other and work together to form an efficient structural system, are constructed off-site. The steel building components are then shipped to the construction site from the manufacturer, where the building is erected by construction personnel. Adding to the popularity of pre-engineered construction is its flexibility in use. Once used primarily for storage buildings and warehouse facilities, pre-engineered metal buildings are cropping up in shopping centers, schools, office buildings and even churches. Many options exist with regard to architectural details and finish materials, providing an exterior appearance consistent with conventional construction – without compromising cost-efficiency.